This picture was taken at Chu Lai behind the hootches of the Warlords of the 123rd Avn. Bn. at the Ky Ha airfield. 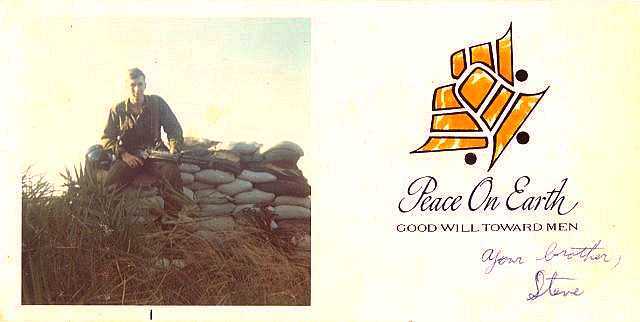 Steve was initially assigned to the Warlords, and was still in the Warlords when this picture was taken and these "official" Christmas cards ordered. By the time he got the christmas cards back, Steve was flying with the Sharks. Return to top of: Steve Ratcliffe's Photo Front Page. Return to top of: Home Page.